I LOVED this book and have been waiting impatiently to share it with you! We've all had them—those memorable moments that have a disproportionate impact on our lives, the ones that make us feel proud, insightful, connected, even transcendent. The moments that we know are special, both as we experience them, and through the lens of memory, years later. 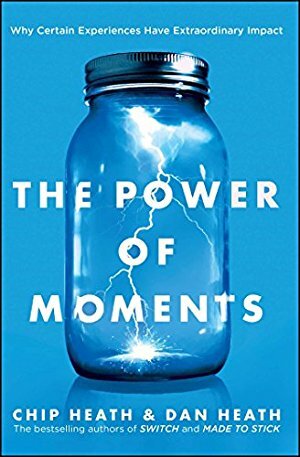 In this pageturner of a business book (yep, that's a thing) the Heath brothers explain not only why those moments are so special, but how we can deliberately create more of them in our own and other people's lives. 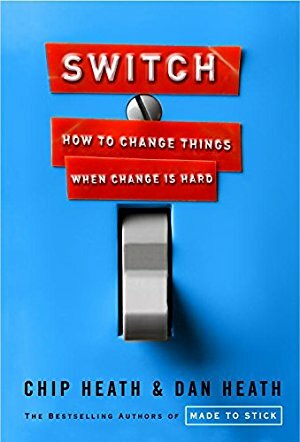 Practical and inspiring, and one of my favorite reads this year. The Heath brothers are whip-smart and really funny. From the publisher: "Mark Twain once observed, 'A lie can get halfway around the world before the truth can even get its boots on.' 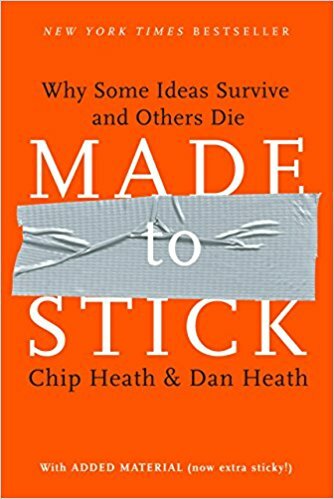 Why do some ideas thrive while others die? And how do we improve the chances of worthy ideas? 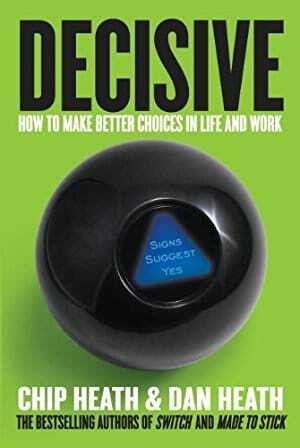 In this indispensable guide, we discover that sticky messages of all kinds draw their power from the same six traits."